A cast iron roll top slipper bath from JIG is the ultimate choice to give a bathroom a stunning traditional centre piece that transports you to a bygone era. The baths are cast using traditional casting methods in a foundry, the enamel coating is then applied using the latest glazing techniques. 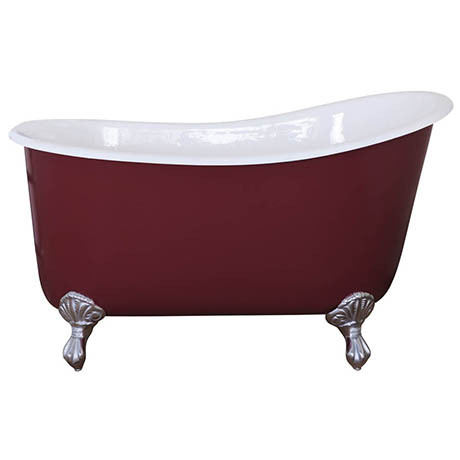 This slipper roll top bath comes complete with Ball and Claw Cast Iron feet in a choice of 2 different coloured finishes (select from drop down).